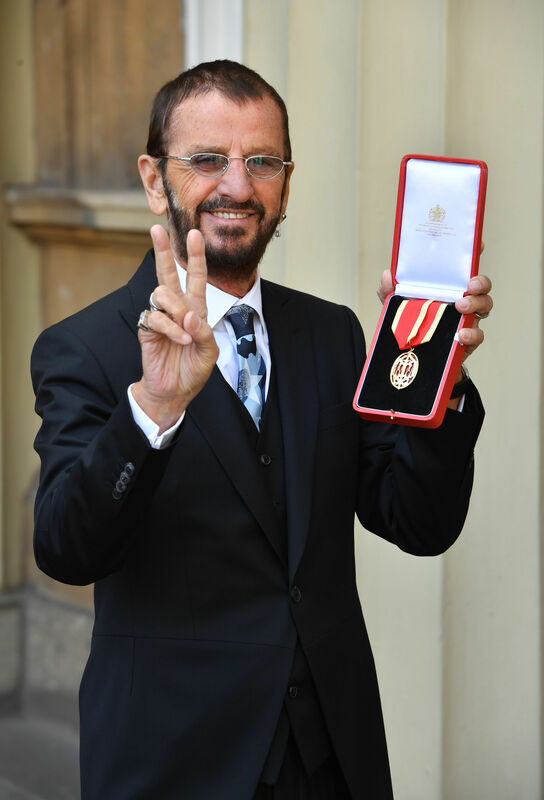 Today was a special day for Ringo Starr, as he picked up his Knighthood at Buckingham Palace. 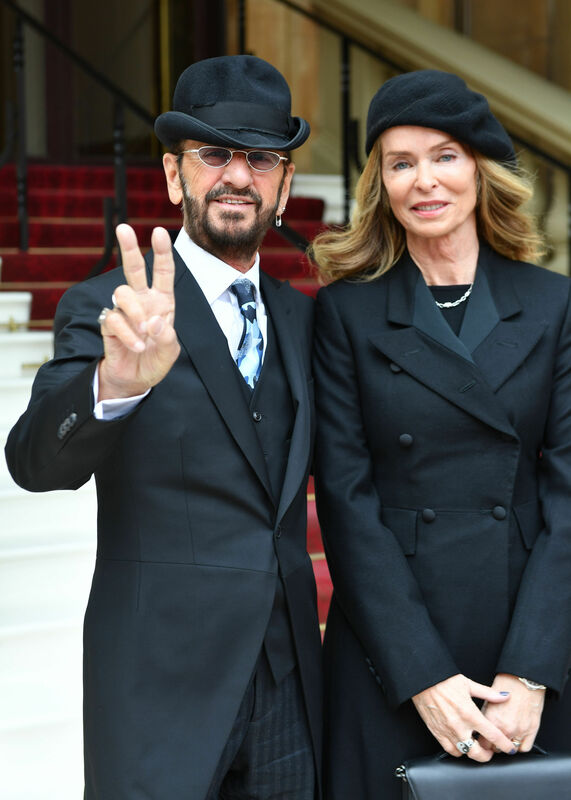 Sir Ringo as he'll now be known, took his wife Barbara Bach to the Investiture ceremony, and made his classic peace and love sign when posing for photos. The Beatles legend joins Sir Paul McCartney as a Knight of the Realm, having been included in the Queen's New Year's Honours list in December. 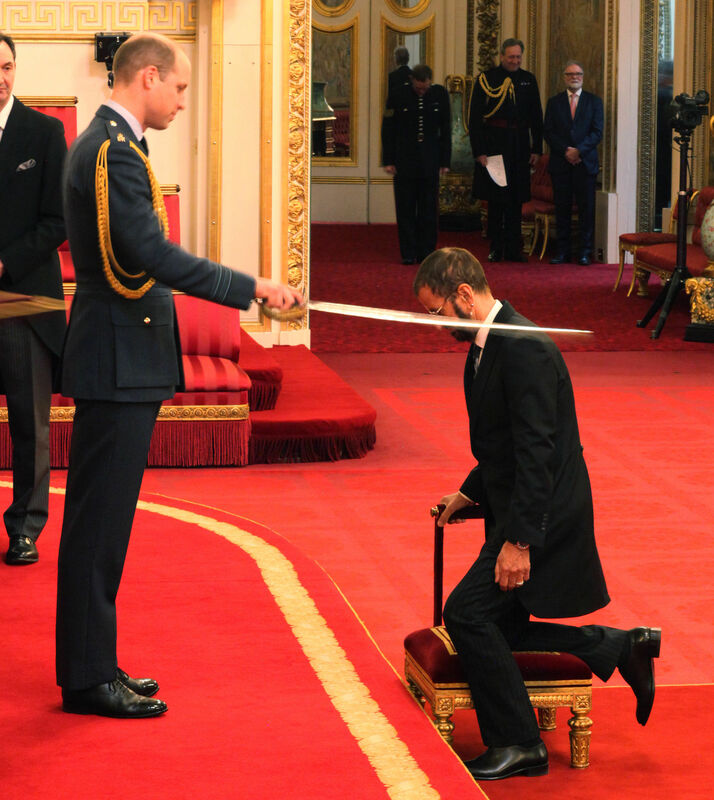 The knighthood was awarded for services to music and charity. "It means a lot actually," the drummer said. "It means recognition for the things we've done. I was really pleased to accept this." The honour arrives 53 years after the Beatles were awarded the MBE. "I was a bit shaky today on my own," he joked.